Forget steeping tea bags in hot water then chilling it over ice to make iced tea. 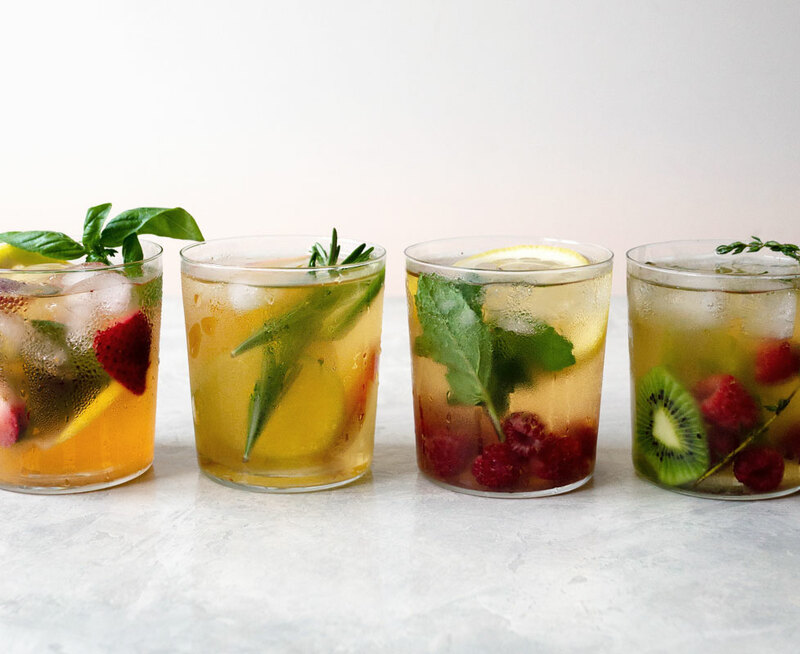 The very best way to make THE PERFECT iced tea is to cold brew it. 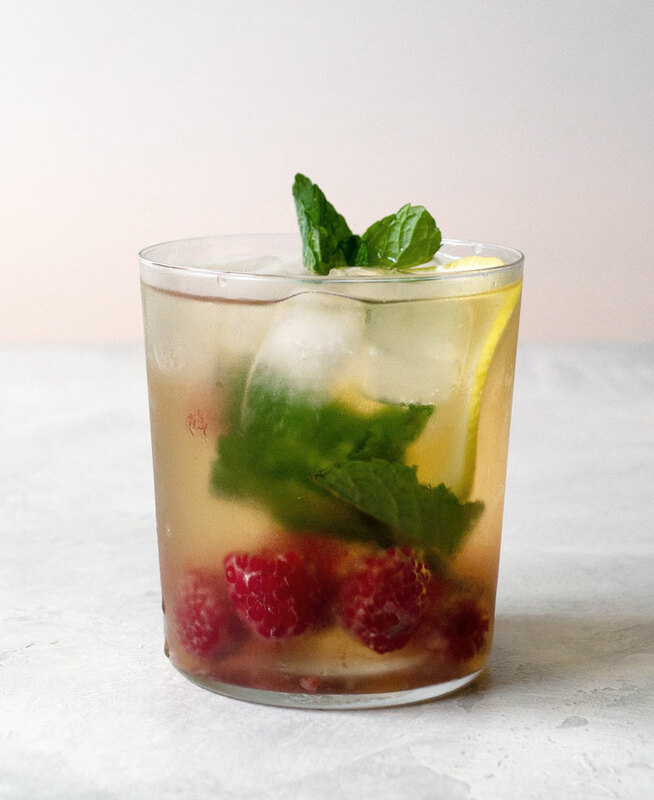 Cold brewing creates a better iced tea since it’s a tastier, smoother tasting beverage that has no bitterness. 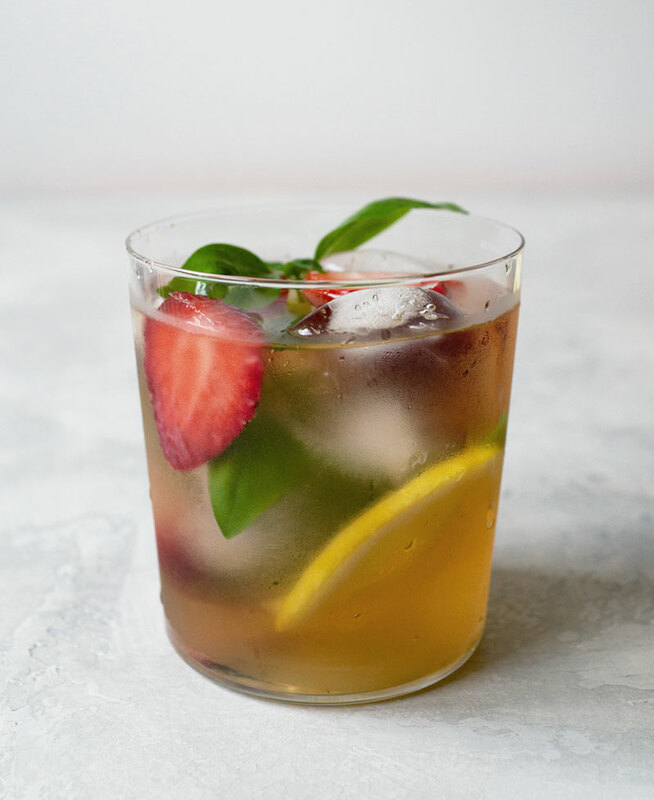 It’s surprising simple and easy to make cold brew iced tea with fresh fruit and the hardest part is waiting for the tea to cold steep in the refrigerator for a few hours. Plus, in the summer who wants to deal with boiling hot water? NOT ME. 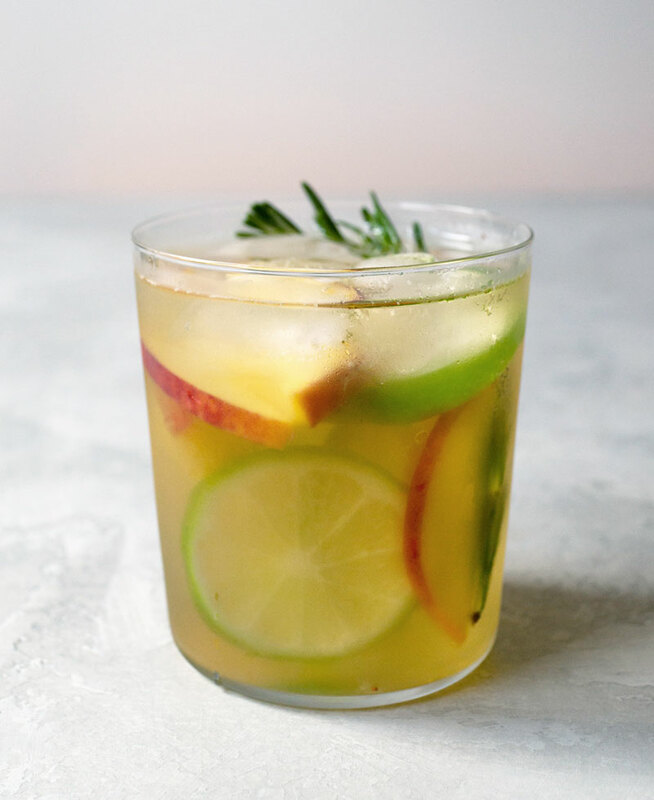 To make cold brewed fruit tea, add in sliced fruit, sliced citrus like lemon or lime, and finally an herb like basil or mint. It all goes into a pitcher and gets cold brewed together. After 8-12 hours, take out the tea and it’s ready to drink. 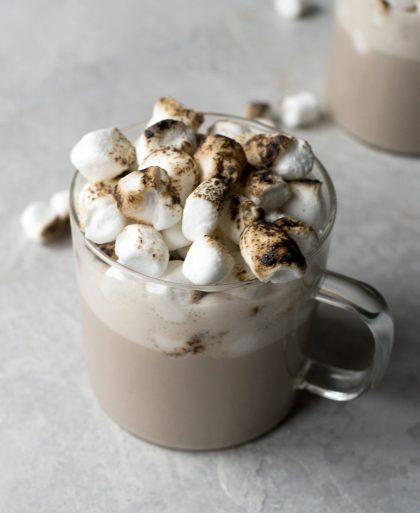 Try any combination using my cold brew tea formula — they all pretty much taste great! Since everything is going into the pitcher together to cold brew, I like to put the tea leaves in a giant tea filter bag so the loose tea has plenty of room to unfurl and also be removed easily. 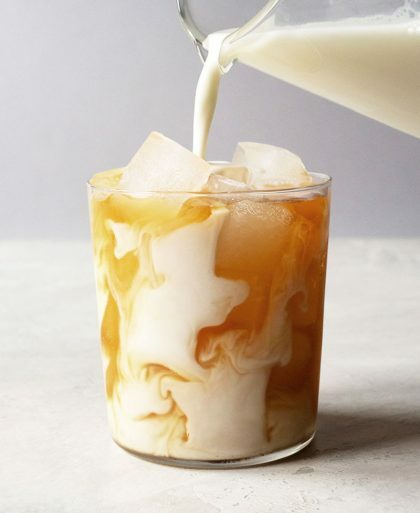 I serve the cold brew with or without ice cubes. 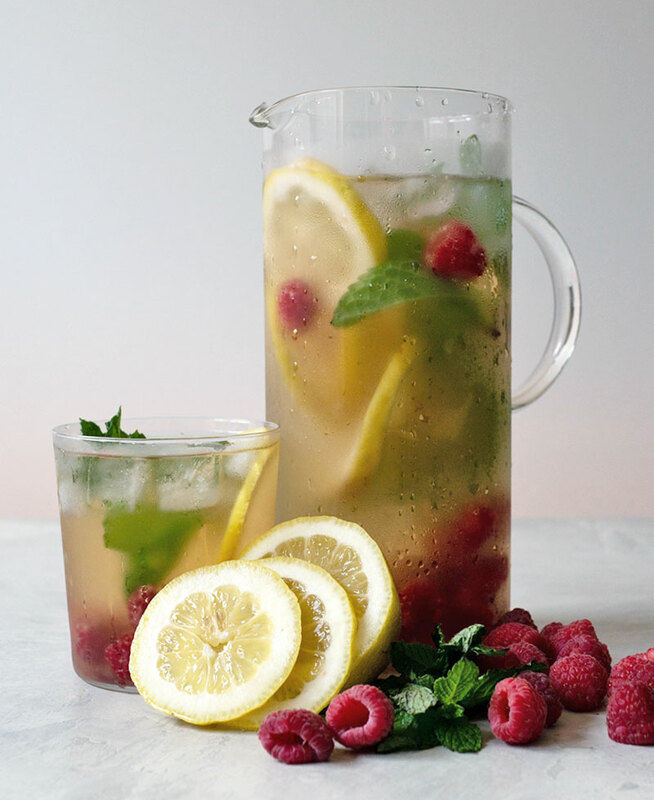 For the prettiest iced tea, add a burst of color by using a red fruit. When you add strawberries to cold brew, a nice surprise is watching the tea turn into a lovely shade of pink after a day or two in the refrigerator. Cold brewed black tea with fresh fruit. 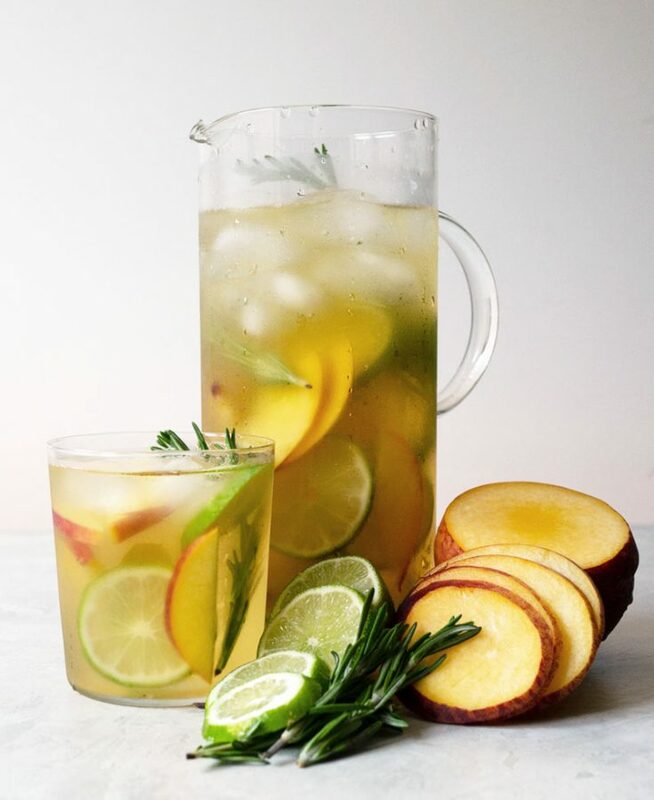 In a pitcher, combine all ingredients. Cover and refrigerate for about eight hours or overnight. Discard tea leaves or tea bag. My favorite teas to cold brew are black tea and oolong. They pair really well with fresh fruit. White teas are the hardest since the taste is so subtle the fruit can easily overpower it. Keep the peel on the peach for a little color. Cold brewed oolong tea with fresh fruit. 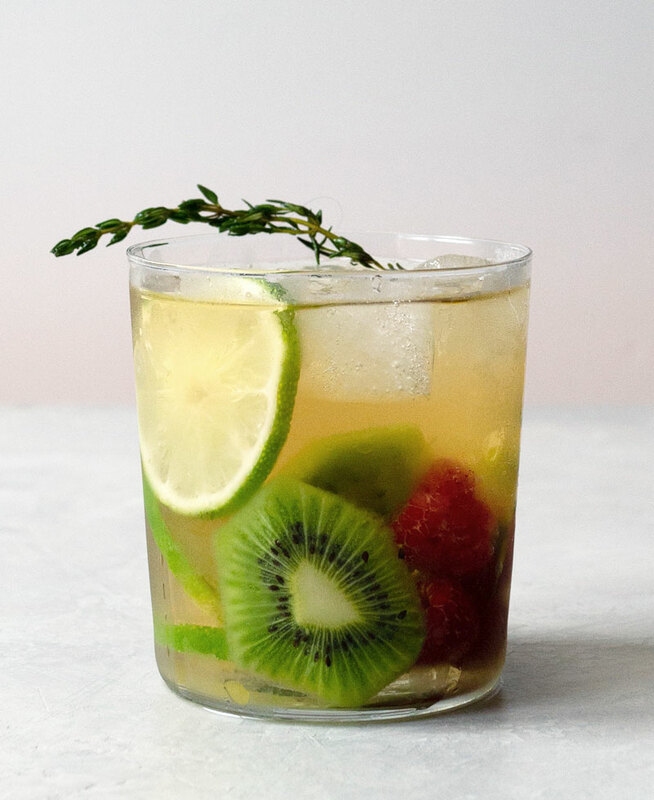 Since green tea is a lighter tea than black or oolong tea, it’s best not to overwhelm the flavor by putting in a fruit that’s too strong in taste like pineapple. 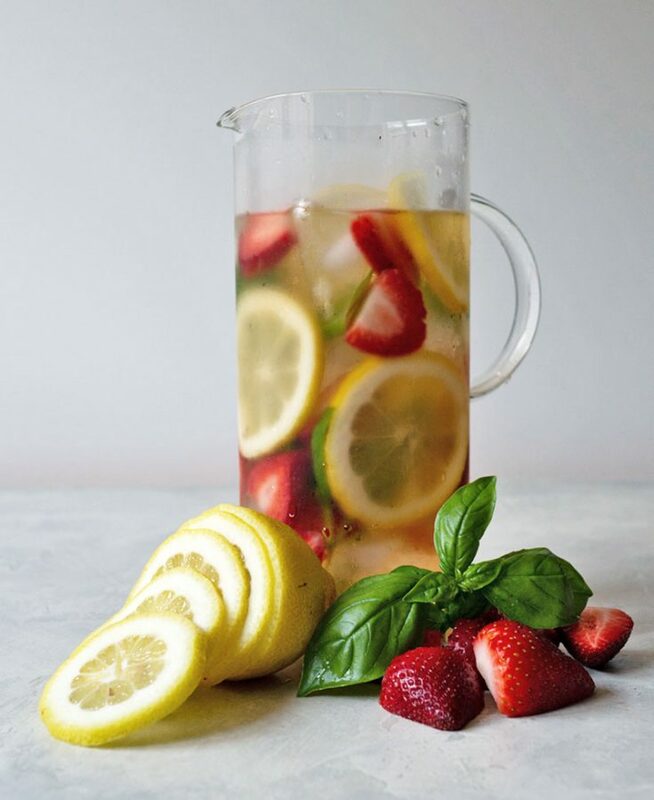 Cold brewed green tea with fresh fruit. This one doesn’t have any caffeine since it’s an herbal tea, also called a tisane. I used chamomile for this cold brew. I went all out and used TWO kinds of fruit. WHOA. Haha. 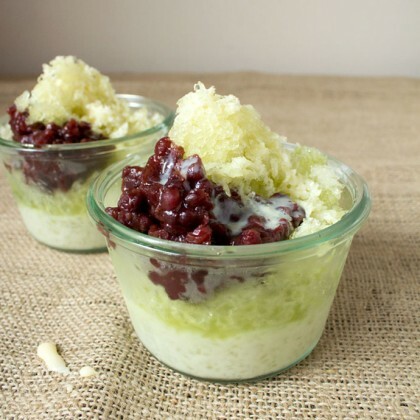 The kiwi can overwhelm the flavor so I only used half and then added raspberry for a pop of flavor and color. 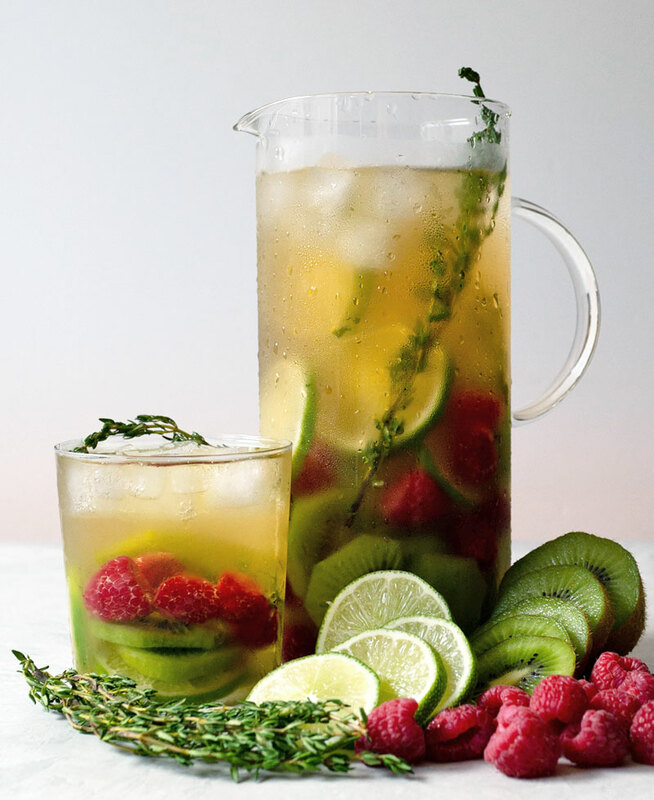 Cold brewed herbal iced tea with fresh fruit.